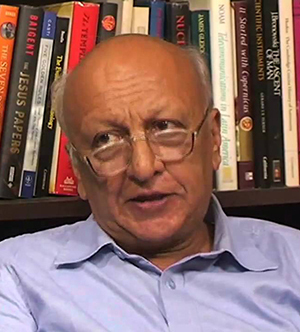 Anil Bhatti studied Germanistik, International Politics, and Philosophy at the LMU (University of Munich) and was awarded a doctorate in 1971. From 1983 to 2009 he was a professor at the Centre of German Studies, School of Language, Literature and Culture Studies of the Jawaharlal Nehru University (JNU), New Delhi. Since August 2009 he is Professor Emeritus of the University. He was a guest professor at the Universities of Kassel, Göttingen, Graz, Wien and Tübingen. He is the Honorary President of Goethe Society of India. Bhatti is recipient of the Jacob-und Wilhelm-Grimm-Preis of the DAAD (2001), recipient of the Officer’s Cross of the Order of Merit of the Federal Republic of Germany, (2005) and recipient of the Austrian Cross of Honour for Science and Art (2011). Between 2010 and 2011 he was a Fellow at the Kulturwissenschaftliches Kolleg, University of Konstanz. November 2011 he received the Research Award of the Alexander von Humboldt Foundation. In this context see Bhatti’s work on “Ähnlichkeiten” (Similarities). Regarding the topic of the Winter School 2014, his areas of expertise are Postcolonial Studies, Cultural Transfer (India-Germany), Polyglotism, Similarity/Diversity. Hans Peter Hahn is professor of cultural anthropology at Goethe-University, Frankfurt a.M. /Germany. He also studied and teached at the African Studies Centre at Bayreuth University. 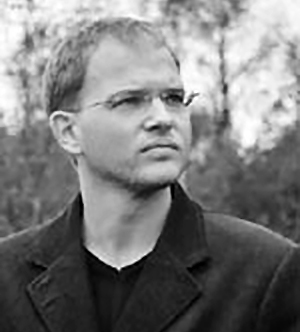 Between 2000 and 2007, Hahn was participating in a research project on “Global Influences on Local Agency in Africa”. Among the numerous publications that resulted from this project, the most important deal with the use and consumption of the mobile phone in Africa. His theoretical interest focusses on globalization and material culture. Both fields merge in his recent publications on water (“People at the well”, 2012) and urbanism (“Urban life worlds in motion”, 2013). The shared point of view of these edited volumes is an extended understanding of the mobility of things and ideas; on how they are changing the people’s ways of life, their expectations for the future and their perceived needs and desires. 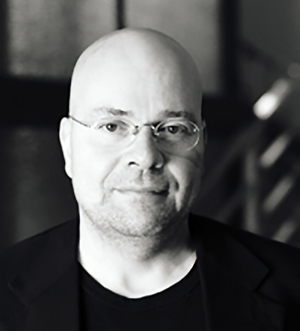 The question on how the mobility of things can transform societies as well as individuals is also the topic of his most recent publication (Mobility of Things, 2013). Regarding the topic of the Winter School 2014, his areas of expertise are Transforming Objects, Itineraries of the Material, Urban Anthropology, Museology, Migration, Globalization, Africa (Burkina Faso, Ghana, Togo) and beyond. 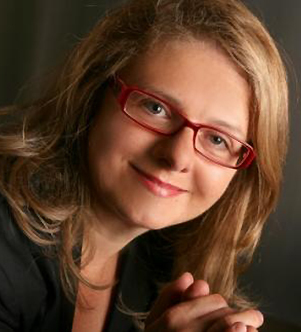 Helga Mitterbauer is Austrian visiting associate professor at the University of Alberta, Edmonton (since 2010); She concluded her PhD (2000) and Habilitation (2008) at the University of Graz where she has been teaching since 1993. She has been a visiting professor at the ELTE Budapest (2003), the University of Zagreb (2005-2006), and the University of Innsbruck (2013). She was a research-fellow at the IFK Vienna (2007/08) and founder and editor of the Yearbook in Cultural Studies „Moderne“ (since 2005). She has published about 20 volumes and numerous articles on Austrian and German literature and culture from 19th to 21st century, on the theory of cultural transfers, and on transcultural studies. 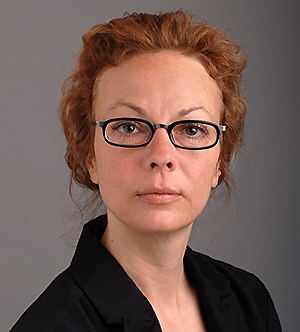 Regarding the topic of the Winter School 2014, her areas of expertise are Transcultural Studies, Cultural Transfers, Postcolonial Theory and Cultural Transfer, Relations between Austrian and Central European Literature, Migration in Literature. Marianne Sommer is professor for Kulturwissenschaften and SNSF-professor for the history of science and science studies at the University of Lucerne. Prior to her current position, she has been at the University of Zurich, ETH Zurich, Stanford University, Pennsylvania State University, and the Max-Planck-Institute for the History of Science in Berlin. Her research and publications have focused on the cultural history of the life, earth, and human sciences, with a particular interest in the human origins sciences. Her latest monograph represents a (pre)history of paleoanthropology and related disciplines from ca. 1800 to the present that is told along the lines of the biography of a particular human fossil skeleton (Bones and Ochre, Harvard University Press, 2007). With a small research team she currently works on the two Swiss National Science Foundation projects ‘History Within: The Phylogenetic Memory of Bones, Organisms, and Molecules’ and ‘Collecting Humanity: How Human Remains Are Made into Museum Objects’. Regarding the topic of the Winter School 2014, her areas of expertise are Biographies of Objects, Museology, Human Population Genetics, Imagined Communities, Evolution. Finally the release of the spontaneous musical get together Thanx Bettina for making it available! Click here to listen to Prof. Dr. Christiane Schildknecht (Philosophy, University of Lucerne) explaining the concept of knowledge, including its limits and an analysis of different forms of knowledge. Click here to listen to PD Dr. Roland Wenzlhuemer (History, University of Heidelberg) talking about the changing relation between information and knowledge: new communication technologies and contemporary societies’ perception of them – the example of telegraphy. 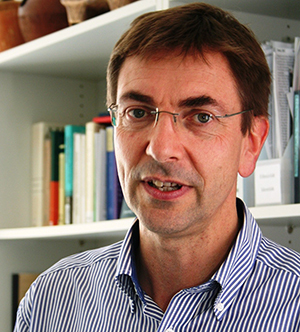 Click here to listen to Prof. Dr. Michael Hagner (Science Studies, ETH Zurich) talking about the generation and transfer of knowledge in the digital age: the fate of the printed book and changing notions of intellectual property, reading, writing and interpretation. 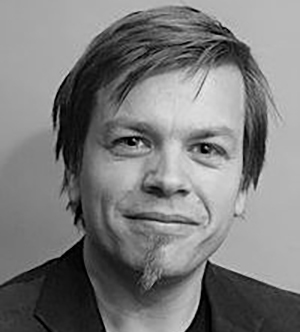 Click here to listen to PD Dr. Stefan Willer (Literary Studies, ZfL Berlin) talking about figurations of future knowledge: a rhetorical and epistemological investigation of knowledge-to- come in connection to current prognostic notions like ‘sustainability’, ‘security’, ‘scenario’, ‘contingency’. The memory of our lively conversations is as fresh as the snow that (finally) covers the Swiss landscape now. I would like to thank you once more for your manifold contributions to the success and friendly atmosphere of the first of a series of at least four of such international events for doctoral and postdoctoral students. It was marked by intellectual curiosity, polite dialogue and mutual learning as well as cheerful evenings of music and play. First of all, allow me to welcome you to Schloss Münchenwiler and to thank you for making the journey, in some cases from as far afield as Scotland, Belarus and the USA. In media studies it is often argued that the emergence of new media inevitably leads to anxieties among devotees of old media who suspect that these media become irrelevant: photography menaces painting, film executes photography, tv menaces film, and the Internet finishes everything else. The printed book is no exception from this logic. Long before the invention of ebooks and Open access, various prophets predicted the decline of the Gutenberg Galaxis. Even without subscribing to such apocalyptic visions, we can not overlook the fact that the humanistic book has come under pressure. Being the unquestioned and primordial scientific medium in the 20th century, an assembly of habituations and practices has shifted within a few years. That implies institutions of advanced studies, publishers, research communities and the scholars themselves. The question, thus, is: Which role will the printed book play within and without the humanities? Welcome Winter School Class of 2012! 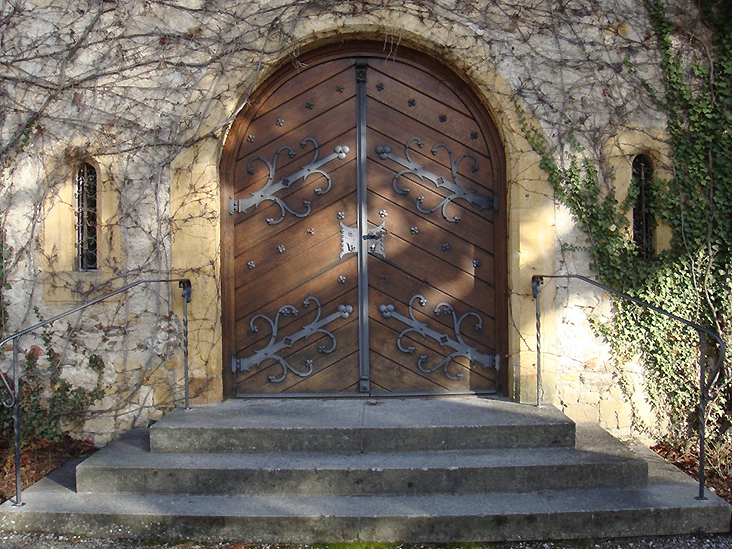 We are very much looking forward to meeting you at Schloss Münchenwiler in January! Meanwhile, we offer you blog space to get to know each other in advance. This blog is meant to connect participants before and after the Winter School. Here you can share information about your research projects as they progress; you can also share information about events that might be of interest to your peers; or, you can raise questions that are currently on your mind. In short, this blog offers a space where TransFormations can be discussed as well as performed. In that sense: Join us and transform! Societies and cultures depend on shared knowledge – for instance about different social roles and positions, the norms and behaviour associated with these roles, rights and duties, shared values or a common cultural heritage to name but a few examples. In order to be shared, knowledge on the one hand needs to circulate within a specific group. And on the other hand, of course, knowledge (or bits and pieces thereof) is also constantly exchanged with other such groups – purposefully or not. Hence, knowledge – willingly or not – is constantly on the move. “A time must come when there will be a science of the future, just like there is a science of the past – and when by virtue of this science the noblest humans calculate for the future as well as for themselves,” writes German philosopher and theologist Johann Gottfried Herder in his 1797 essay On Knowing and Not-Knowing the Future. In my talk, I will discuss Herder’s and other concepts of futurity that were advanced around the year 1800. Thereby, an epistemological TransFormation par excellence will be observed – the one to bridge knowledge about the future with a general futurization of knowledge.